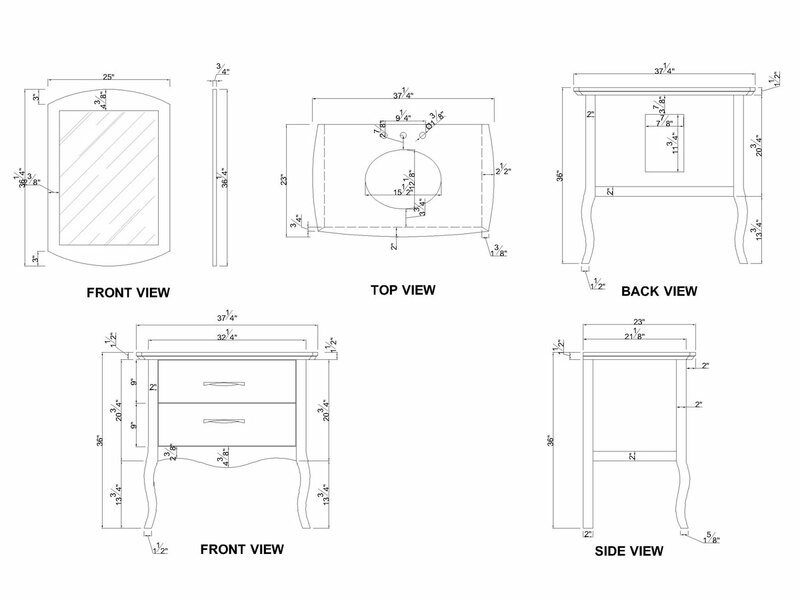 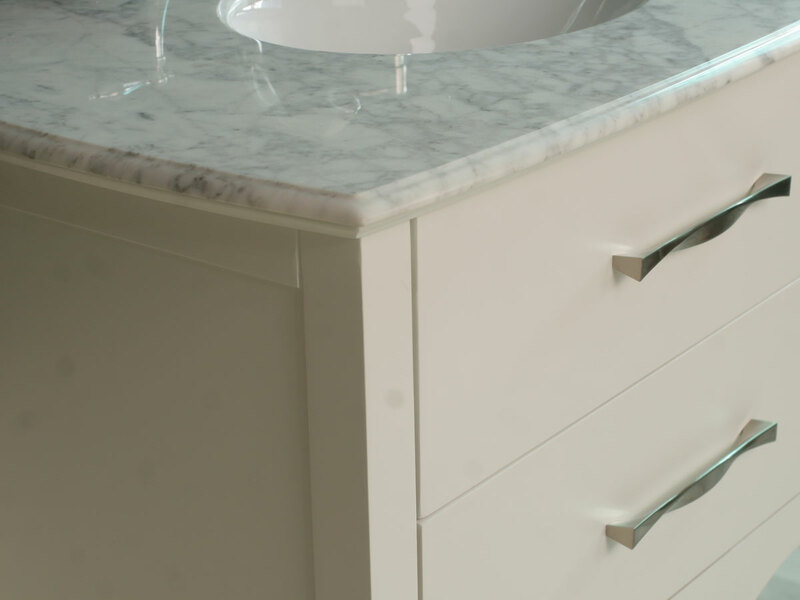 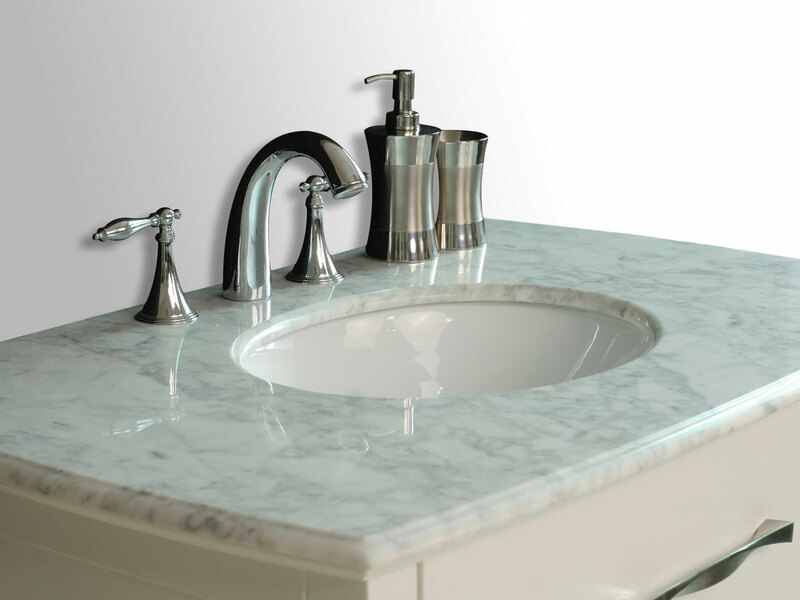 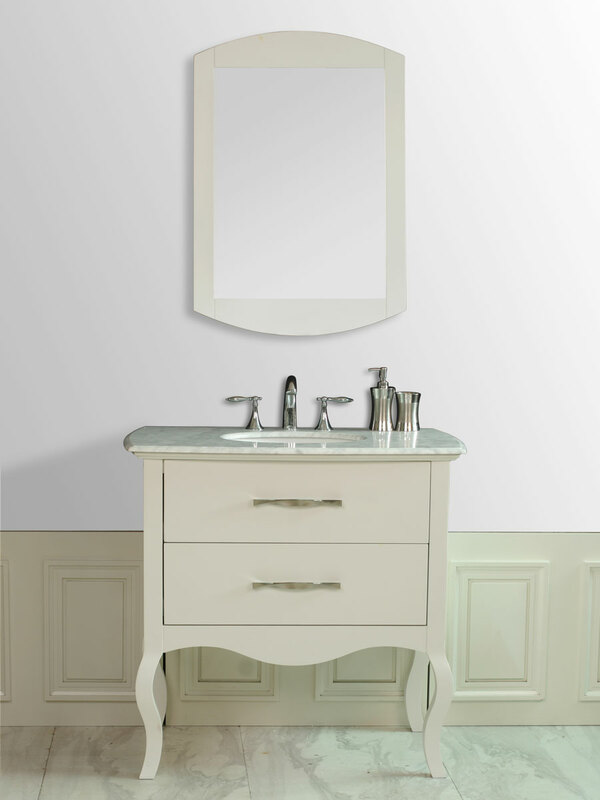 Elegance is the game for the 37.25" Cleveland Single Bath Vanity. 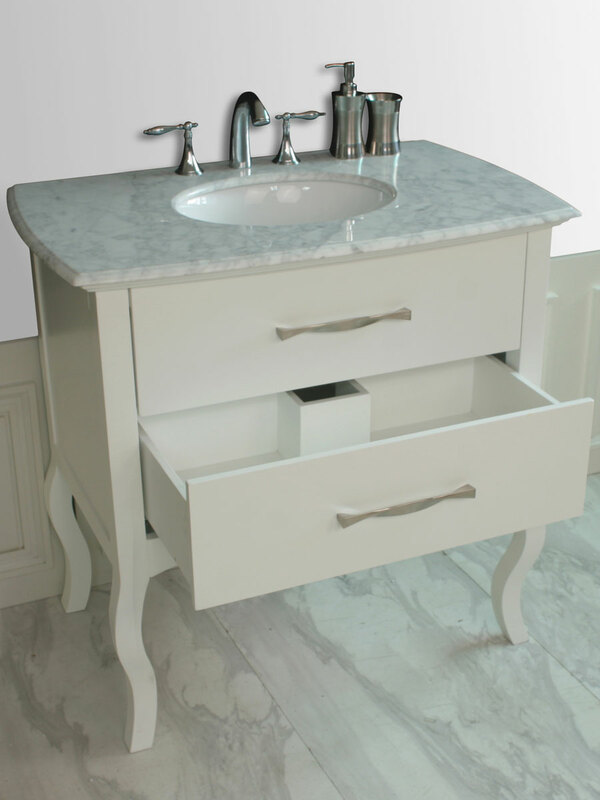 Finished in a beautiful White finish, this solid oak vanity features a beautiful traditional style that includes an Italian Carrera White Marble top and beautiful stainless steel antique-style hardware. 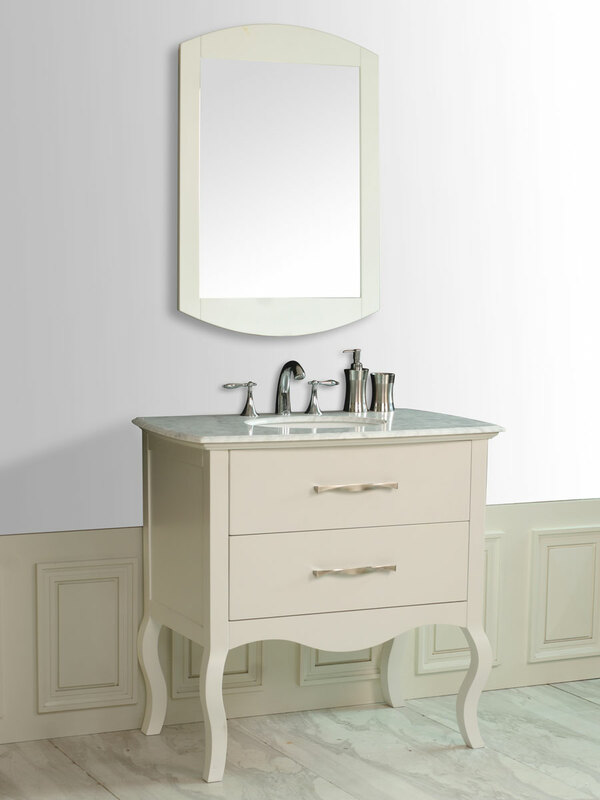 Its curved center and long legs give it a regal appeal, that's reflected by its matching mirror, which is included with the Cleveland Single Vanity!